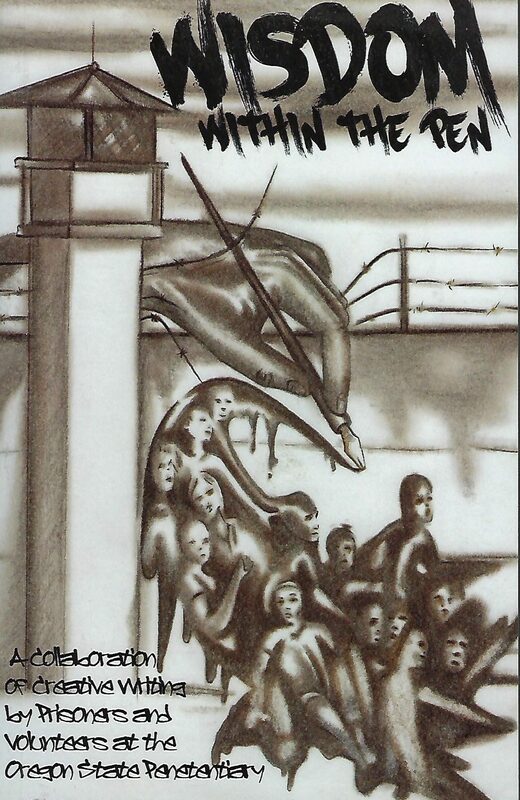 Purchase your copy of WISDOM WITHIN THE PEN, a 290 page book of short stories, essays, poetry and expressions written by prisoners and volunteers in Oregon. These are sometimes funny and sometimes heart-wrenching writings of various aspects of the lived prison experience in Oregon, along with historical data relating to Oregon State Penitentiary. Wisdom Within The Pen is a collaboration of creative writers, both prisoners and volunteers, at the Oregon State Penitentiary. In 2013, a prisoner had an idea. The book Wisdom Within The Pen is the result of that idea. Both prisoner and staff took a liking to the idea, especially since all profits resulting from the book’s sale would benefit Angels in the Outfield, an Oregon non-profit, which helps youth that have been the unfortunate victims of crime and abuse. The writing in Wisdom Within The Pen encompasses poetry, short story, and other forms of creative expression that are often autobiographical in nature. There are also many interesting, historical facts relating to the Oregon State Penitentiary and the inner workings of life behind bars. If you believe in the redemptive value of creativity, if you believe that people can change through hindsight and personal reflection, or if you would just like to get a glimpse into the thoughts of those who are incarcerated…. Wisdom Within The Pen is the book for you. Order your copy today at Lulu.com. I received confirmation from LuLu this morning and yes they can and do mail books into prisons. This is a paperback book.